Registration Information REGISTER FOR FREE PROGRAMS IN PERSON: Stop by the Information Desk at any Library location. ONLINE: Visit SchaumburgLibrary.org PHONE: Call the Information Desk at (847) 923-3347. REGISTER FOR PROGRAMS WITH A FEE IN PERSON: Stop by the Information Desk at any Library location. PHONE: Call the Information Desk at (847) 923-3347. DROP IN: Attend at your leisure during allotted times without registering. REGISTER NOW: Register when you receive the Guide or any time prior to the program, space permitting. Youth programs requiring registration are open to Schaumburg Township District Library cardholders only. Camp and school groups, please call (847) 923-3439 for accommodations. Information Desk at any Library location. PLEASE NOTE: Patrons registering for programs in person will be assisted before those who register by phone. Fees are due at the time of registration. For all programs with a fee, refunds may only be issued (less a $5 service fee) when cancellation is made at least 7 days in advance of the program. For bus trips, the Library must also be able to fill your spot on the trip to issue a refund. Accommodations for special assistance will be made upon request, based on availability. If possible, please register at least two weeks prior to the program and note the accommodation needed at the time of registration. Image Release All Library visitors permit the Library to take photos and videos and to use these images in future Library publications and promotions, in print and online. THE SERVICE OF WELL TRAINED STAFF. ALL LOCATIONS WILL BE CLOSED ON SUNDAY, APRIL 21 & MONDAY, MAY 27. 130 S. ROSELLE ROAD • SCHAUMBURG, IL • (847) 985-4000 Monday – Friday 9 a.m. - 10 p.m. Saturday 10 a.m. - 6 p.m. Sunday	Noon - 9 p.m.
ALL AGES POETRY WRITING CONTEST Ages Groups • 6-11, 12-19, 20 & up Submission Dates • Monday, April 1- Tuesday, April 30 Let your creativity soar and enter our poetry contest! Maximum length: 250 words. You may enter up to two poems and submit them using the online form at www.SchaumburgLibrary.org. Winners will be contacted in May. You don’t have to be an STDL cardholder to enter. Release your inner poet! POETRY ON DEMAND DROP IN • Central Commons • Saturday, April 6 1-3 p.m. Give the editors at Ransack Press a one-word prompt and they will write a poem for you to celebrate National Poetry Month. CRAFT SWAP DROP OFF MATERIALS • Central Rasmussen Room Monday, April 22 • 5-10 p.m. Central Rasmussen North• Friday, April 26 • 1-5 p.m. PICK UP MATERIALS Central Workshop • Saturday, April 27 • 1-3 p.m. Clearing out the clutter and love crafting? Bring unwanted but usable materials and/or obtain new materials for free. Drop off your new or slightly used craft supplies on the dates listed above, then pick up some materials that will be new to you. 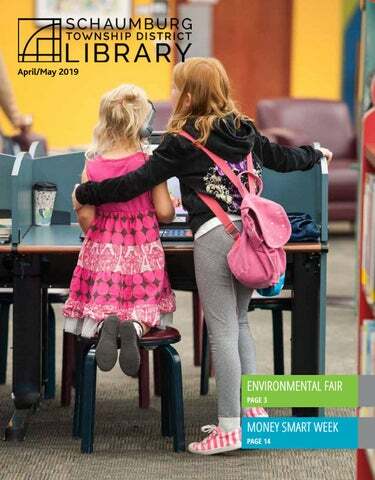 ENVIRONMENTAL FAIR DROP IN • Central Library • Saturday, May 11 1-3 p.m. All ages can experience fun demos and workshops related to protecting our environment. Create a butterfly magnet or learn how to raise monarchs in your backyard. This event will also include special collections for recyclables, so bring in your unwanted keys, cell phones and eyeglasses to the fair. The collections will take place only for the day of the Environmental Fair. Co-sponsored by the Library and the Village of Schaumburg’s Environmental Committee. BOOK SALE DROP IN • Central Library (south entrance) Saturday, May 11 • 9 a.m. - 2 p.m. 50¢ for paperbacks, $1 for hardcovers. Books, DVDs and more. DROP IN • Central Library • 1-4 P.M. This year, we’re partnering with The Backyard Experience to bring you our Summer Challenge: Chuck Jones™ Summer of Creativity. It will be a season filled with reading, drawing, animation, Acme experiments and, of course, your favorite Looney Tunes characters. We’ll kick things off right: stop by to see our amazing Chuck Jones exhibit, try your hand at drawing some characters and enjoy music out in Town Square. And be sure to sign up for our Summer Challenge to take part in all the fun, imagination and creativity all summer long. MOVIES DROP IN Central Workshop • Tuesdays & Thursdays • 2 p.m. Hoffman Estates Branch • Thursdays • 3:30 & 6:30 p.m. Hanover Park Branch • 1st & 3rd Thursdays • 6:30 p.m. Hanover Park Branch • Fridays • 1 p.m. Tuesday’s movies at the Central Workshop will be closed captioned/subtitled. Stop by, take a seat and enjoy a movie. We watch new releases, old classics and family favorites – always rated PG-13 or lower. STORYTIMES FAMILY STORYTIME TICKETED • All Ages Monday, April 1 • 1-1:30 p.m. • Central Program Room Monday, April 1 • 6:30-7 p.m. • Hoffman Estates Branch Tuesday, April 2 • 10:30-11 a.m. • Hanover Park Branch Tuesday, April 2 • 6:30-7 p.m. • Central Program Room Wednesday, April 3 • 10:30-11 a.m. Hoffman Estates Branch Thursday, April 4 • 6:30-7 p.m. • Country Style Donuts, 1519 Irving Park Rd, Hanover Park Saturday, April 6 • Central Program Room • 11-11:30 a.m. Storytelling, songs, finger plays and flannel board stories. Pick up your free tickets 30 minutes prior to the program. No tickets are required for Country Style Donuts. ON MY OWN PRESCHOOL STORYTIME TICKETED • 3-5 years • Central Craft Room Wednesday, April 3 • 1-1:30 p.m. Your little ones are on their own for stories and crafts. Caregivers must remain in kidsZone during this program. Pick up your free tickets 30 minutes prior to the program. FAMILY TIME WITH THE MAYOR DROP IN • All Ages • Hanover Park Branch Mondays, April 8 & May 13 • 11:30 a.m. - Noon Stories and music with Hanover Park Mayor Rod Craig. TICKETED • 0-12 months • Central Program Room Monday, April 1 • 10-10:30 a.m. Short stories, music and movement for you and your child. Pick up your free tickets 30 minutes prior to the program. TICKETED • 13-23 months • Central Program Room Thursday, April 4 • 10-10:30 a.m. OR 10:45-11:15 a.m. Music, stories, rhymes and finger plays for you and your child. Pick up your free tickets 30 minutes prior to the program. TODDLER TIME TICKETED • 24-35 months • Central Workshop Thursday, April 4 • 10-10:30 a.m. OR 10:45-11:15 a.m. Stop in with your toddler and join the fun with rhymes, music, movement and short stories. Pick up your free tickets 30 minutes prior to the program. DROP IN • 0-24 months Hoffman Estates Branch • Tuesdays, April 2 - June 4 10:30-11:30 a.m. Central Program Room • Wednesdays, April 3 - June 5 9:30-11 a.m. Hanover Park Branch • Fridays, April 5 - June 7 10:30-11:30 a.m. Play with your baby and chat with other caregivers. PARENT/CHILD CRAFT DROP IN • 2-5 years • Central Craft Room Thursdays, April 4, 18, 25 • 1-1:30 p.m. Tuesdays, May 7-28 • 1-1:30 p.m. Make a simple craft with your preschooler. UNTIDY TODDLERS REGISTER APRIL 1 • 1-3 years • Central Craft Room Fridays, April 19 & May 3 • 10-10:45 a.m. In April, enjoy sensory stations based on Tim Hopgood’s Hooray for Hoppy. In May, enjoy sensory stations inspired by Over in the Ocean by Marianne Berkes. PLAY GROUP DROP IN • 2-6 years • Central Craft Room • Friday, April 26 10-11 a.m. Play and explore with our various sensory toys and activities. MOTHER’S DAY TEA PARTY TICKETED • 3-5 years • Central Craft Room Thursday, May 9 • 1-1:30 p.m. This event is for mothers, aunts, grandmothers, daughters, sons and truly anyone who wants to celebrate a mom in their life. Enjoy a tea party with your mother, grandmother or caregiver. Pick up your free tickets 30 minutes prior to the program. TICKETED • 3 years & up • Central Program Room Wednesday, May 22 • 1-1:30 p.m. kidsZone staff will perform a puppet show. Pick up your free tickets 30 minutes prior to the program. YOGA FOR LITTLE ONES TICKETED • Central Program Room 0-12 months • Tuesday, May 28 • 10-10:45 a.m. 1-3 years • Thursday, May 30 • 9:30-10:15 a.m. OR 10:30-11:15 a.m. 3-5 years • Friday, May 31 • 9:30-10:15 a.m. OR 10:30-11:15 a.m. Join Certified Yoga Instructor Marti Anne Lahood as she leads your little one in a relaxing yoga session. Pick up your free tickets 30 minutes prior to the program. TICKETED • 3-5 years • Central Program Room Fridays, April 5, May 17 & June 7 • 10-10:45 a.m. Explore the alphabet with stories, songs, writing and STEAM stations. Pick up your free tickets 30 minutes prior to the program. ADAPTIVE STORYTIME REGISTER NOW • 3-6 years Central Storytime Room • Saturday, April 27 10:30-11 a.m. Join us for a storytime designed for children with autism spectrum disorders, sensory processing issues or who are differently-abled. The structure includes a visual schedule, books, soft music and lighting, and movement activities. Special supports, such as fidget toys and noise reduction earmuffs will be available. Please call (847) 923-3446 to register and tell us of any accommodations you may require. Siblings welcome. ADAPTIVE PLAY GROUP DROP IN • 0-6 years • Central Craft Room Saturday, April 27 • 11 a.m. - Noon This play group is for children receiving or being considered for therapy services, along with their families. Children and caregivers can socialize while experiencing various sensory, fine and gross motor stations. Lights are kept dim and special supports, such as fidget toys and noise reduction earmuffs, will be available. Please call (847) 923-3446 to tell us of any accommodations you may require. Siblings welcome. TICKETED • 0-5 years with caregiver Central Program Room • Monday, April 8 • 1-1:30 p.m. Join us for a dance party to celebrate Music Monday. Pick up your free tickets 30 minutes prior to the program. DROP IN • 2-5 years with caregiver • Central Craft Room Thursday, April 11 • 1-1:30 p.m. Join us for an open-ended art project. TASTY TUESDAY REGISTER APRIL 1 • 3-5 years with caregiver Central Craft Room • Tuesday, April 9 • 1-1:45 p.m. Learn about your sense of taste and explore different foods. Please call the kidsZone desk at (847) 923-3446 if your child has food allergies. WORK TOGETHER WEDNESDAY DROP IN • 2-5 years with caregiver • Central Craft Room Wednesday, April 10 • 10-10:45 a.m. Children will learn basic math and science as they work together to build with a variety of materials. ADAPTIVE PUPPET SHOW REGISTER NOW • 3-6 years • Central Craft Room Monday, May 13 • 1-1:30 p.m. Join us for a puppet show designed for children with autism spectrum disorders, sensory processing issues or who are differently-abled. The structure includes a visual schedule, interactive puppet stories, board books and soft music and lighting. Special supports, such as fidget toys and noise reduction earmuffs, will be available. Please call (847) 923-3446 to register and tell us of any accommodations you may require. Siblings welcome. FAMILY FRIDAY TICKETED • 0-5 years with caregiver Central Program Room • Friday, April 12 • 10-10:45 a.m. Enjoy family-themed stories and activities. Pick up your free tickets 30 minutes prior to the program. MISS JAIME TICKETED • 0-5 years with caregiver Central Program Room • Saturday, April 13 • 11-11:45 a.m. Join us for a lively, interactive concert with Miss Jaime. Pick up your free tickets 30 minutes prior to the program. 5-8 years • Central Craft Room REGISTER APRIL 1 • Tuesday, April 23 • 4-5 p.m. REGISTER MAY 1 • Tuesday, May 28 • 4-5 p.m.
April: When Green Becomes Tomatoes by Julie Fogliano. May: A Different Pond by Bao Phi. REGISTER NOW • 6-8 years • Central Craft Room Monday, April 1 • 4-5 p.m. Join this judgement-free space where we’ll learn and explore different forms of writing. REGISTER NOW • 6-9 years • Central Craft Room Saturday, April 6 • 1-1:45 p.m. Create a glimmering work of art. DROP IN • 3 years & up • Central Program Room Thursday, April 18 & Friday, May 17 • 6-7:30 p.m. Join us for a family-friendly movie. REGISTER NOW • 8-12 years • Central Craft Room Monday, April 8 • 4-5 p.m. Use paint and glitter to color and decorate eggs. DROP IN • 7-12 years • Central Craft Room Friday, April 19 • 2-2:45 p.m. Stop by for an open-ended art project. DROP IN • 5 years & up • Hoffman Estates Branch Tuesday, April 9 • 4-4:30 p.m. Play Bingo as a family. 6-9 years • Central Craft Room REGISTER APRIL 1 • Monday, April 22 • 4-5 p.m. REGISTER MAY 1 • Friday, May 31 • 4-5 p.m. In April, join us for a mystery art project. In May, we’ll learn about Japanese artist Motoi Yamamoto and make salt paintings inspired by his work. COLORING CRAZE DROP IN • 3 years & up • Central Craft Room Tuesday, April 2 • 3-3:45 p.m. Coloring is fun and relaxing! Let’s turn off our devices and join this carefree craze. LEGO® LEAGUE DROP IN • 4 years & up Hoffman Estates Branch • Friday, April 5 & Thursday, May 16 4-4:45 p.m. Central Program Room • Tuesday, April 16 & Friday, May 24 4-4:45 p.m. Hanover Park Branch • Monday, April 29 & Thursday, May 30 4-4:45 p.m. Put your imagination to work creating awesome structures with LEGOs®. NATURAL DISASTERS REGISTER APRIL 1 • 5-8 years • Central Craft Room Wednesday, April 10 • 3:30-4:30 p.m. Learn about natural disasters and make a tornado in a bottle. EGG SCIENCE REGISTER APRIL 1 • 8-12 years • Central Craft Room Wednesday, April 17 • 3:30-4:30 p.m. Join us for science egg-speriments. DRESS-UP DOLL SLUMBER PARTY REGISTER APRIL 1 • 5-8 years • Central Craft Room Thursday, April 25 • 6-7 p.m. Bring your favorite dress-up doll. You’ll make crafts for your doll and enjoy a snack. REGISTER APRIL 1 • 8-12 years • Central Craft Room Tuesday, April 30 • 6-7 p.m. Come in to register and check out a book about a famous musician or singer from our “Who Was” collection. Books are available at the kidsZone Desk and should be read before the program. Activities and discussion will be based on the books you select. REGISTER MAY 1 • 6 years & up • Central Workshop Mondays, May 6-20 • 4-5 p.m. Boost your confidence, improve your reading skills and create a special bond with a therapy dog. Bring the book of your choice to read aloud to a dog. Register for one 15-minute session. REGISTER MAY 1 • 5-8 years • Central Craft Room Wednesday, May 15 • 3:30-4:30 p.m. Learn about ocean life through a variety of hands-on activities. MOTHER’S DAY STRING ART REGISTER APRIL 1 • 8-14 years • Central Craft Room Friday, May 3 • 4-5 p.m. Create a string art masterpiece with hammer and nails to give to your mom, grandmother, aunt or another special person in your life. MAY THE FOURTH REGISTER APRIL 1 • 5-8 years • Central Craft Room Saturday, May 4 • 1:30-2:15 p.m. Create a craft inspired by a galaxy far, far away. I AM HUMAN REGISTER MAY 1 • 5-8 years • Central Craft Room Wednesday, May 8 • 3:30-4:30 p.m. Explore the books of Peter H. Reynolds, including I Am Human, with a variety of activities. SIMPLE MACHINES REGISTER MAY 1 • 7-14 years Central Program Room • Tuesday, May 14 • 4-5 p.m. Learn about simple machines using LEGO® Education blocks. ROCK PAINTING DROP IN • 5 years & up Hoffman Estates Branch • Tuesday, May 21 • 4-4:30 p.m. Hanover Park Branch • Thursday, June 6 • 4-4:30 p.m. Paint a rock to decorate your home or garden. MAKER MONDAY DROP IN • 5 years & up • Central Craft Room Monday, June 3 • 4-5 p.m. Stop by to complete a project you can take home. 9-12 years • Central Craft Room REGISTER APRIL 1 • Friday, April 12 5:30-6:30 p.m. REGISTER MAY 1 • Friday, May 10 • 5:30-6:30 p.m. NO INBEWTEEN SCENE JUNE, JULY & AUGUST Eat a snack, play games, meet new friends and help make decisions about the Library and its programs. 9-12 years • Central Craft Room REGISTER NOW • Wednesday, April 3 3:30-4:30 p.m. REGISTER APRIL 1 • Wednesday, May 1 • 2-3 p.m. REGISTER MAY 1 • Wednesday, June 5 3:30-4:30 p.m. Create something new with a different project each month. Some projects may require hand sewing. REGISTER APRIL 1 • 9-12 years • Central Craft Room Monday, April 15 • 4-5 p.m. Explore different types of creative writing through games and ice breakers in this judgement-free space. REGISTER MAY 1 • 9-12 years • Central Craft Room Saturday, May 18 • 1:30-2:15 p.m. Learn about chromatography through this art project. FIZZY MOON SAND REGISTER NOW • 9-12 years • Central Craft Room Thursday, April 4 • 4-4:45 p.m. Explore chemical reactions with this spin on a sensory classic. GET CREATIVE REGISTER APRIL 1 • 9-12 years Central Craft Room • Thursday, April 11 • 4-5 p.m. Hanover Park Branch • Tuesday, May 7 • 4-4:45 p.m. Show off your style and creativity through an open-ended art project. REGISTER APRIL 1 • 9-12 years • Central Craft Room Saturday, April 20 • 1:30-2:15 p.m. Tie-dye a t-shirt to take home. REGISTER MAY 1 • 9-12 years • Central Craft Room Wednesday, May 22 • 3:30-4:15 p.m. Create a craft inspired by the new live-action Aladdin movie. REGISTER APRIL 1 • 9-12 years Hanover Park Branch • Wednesday, April 24 • 3:30-4:15 p.m. Decipher the code to complete the coloring project. REGISTER MAY 1 • 9-12 years • Central Craft Room Thursday, May 23 • 4-5 p.m. This month’s book is Amina’s Voice by Hena Khan. We’ll eat snacks while we talk about what we’ve read. Then, enjoy various activities inspired by the book. Come to the kidsZone Desk to register and receive a free copy of the book to keep. ADVANCED MACHINE SEWING REGISTER APRIL 1 • 9-12 years • Central Workshop Friday, April 26 • 4-5 p.m. Use your sewing skills to complete a fun project. This program is only for tweens who have completed our Sew Ready boot camp. Call (847) 923-3439 to register. BARBIE® BUNGEE CHALLENGE REGISTER APRIL 1 • 9-12 years Central Program Room • Thursday, May 2 • 4-4:45 p.m. Grab some rubber bands and let’s see if you can save Barbie®. MINECRAFT SELFIE TICKETED • 9-12 years • Central Craft Room Thursday, May 9 • 4-4:30 p.m. Use squares of tissue paper to create a Minecraft-themed self-portrait. Pick up your free tickets 30 minutes prior to the program. MATH ART REGISTER MAY 1 • 9-12 years • Central Craft Room Wednesday, May 29 • 3:30-4:15 p.m. Complete an art project inspired by a math concept. MINDFUL ART REGISTER MAY 1 • 9-12 years • Central Craft Room Tuesday, June 4 • 4-4:45 p.m. Learn about mindfulness and meditation. Then, enjoy a relaxing art project. 12-year-olds: Join our Volunteer Squad this summer! See page 10 for details. 15-20 years • Application Deadline: Sunday, June 30 As a Student Advisory Trustee (SAT), you’ll represent our teen patrons by attending monthly Library Board meetings, participating in discussions and offering suggestions. You must have a current Schaumburg Library card to apply. These positions are non-voting. You’ll need to attend a Board meeting for one hour on either April 15 at the Hoffman Estates Branch or May 20 at the Central Library and submit your findings and ideas with your application. The top applicants will be invited to interview and two SATs will be selected for the 2019/20 year. Applications available at: SchaumburgLibrary.org/student-trustee. REGISTER NOW • Central Rasmussen South Thursday, April 11 • 7-8 p.m. This workshop focuses on factors that influence college admissions most, including how SAT and ACT scores are used. Learn tips on preparing for exams and strategies for improving test scores. Parents and students welcome. REGISTER NOW • Central Teen Place Tuesday, April 2 • 7-8 p.m. Join us in using the popular string art painting technique seen on Facebook to create your own unique journal. WRITING CLUB REGISTER APRIL 1 • Central Teen Place Mondays, April 8 & May 13 • 7-8 p.m. Meet other young writers, share your work and practice your craft while participating in creative writing activities. MAKE YOUR OWN DRAGON EGGS REGISTER APRIL 1 • Central Teen Place Wednesday, April 10 • 7-8 p.m. Want to channel your inner Khaleesi but don’t have a dragon egg? You’ll create a must-have, scaly accessory for your Game of Thrones cosplay in this program. CODING BASICS REGISTER APRIL 1 • Central Teen Place Thursday, April 11 • 7-8 p.m. Learn how to create your own animated short film, music or video game with Scratch, a basic computer coding program. REGISTER APRIL 1 • Central Teen Place Mondays, April 15 & May 6 • 7-8 p.m. Learn about basic 3D Design & Printing. Create models, shapes, jewelry and more with free 3D modeling software and our 3D printer. One free print per teen will be available one week after the session. COLLEGE ACCEPTANCE & FINANCIAL AID REGISTER NOW • Central Adult Classroom Tuesday, April 16 • 7-8:30 p.m. Learn about the academic strategies that can increase your odds of being admitted, as well as little-known financial strategies available to help pay for college. Discover the latest changes being implemented by top tier universities and how you can benefit from them. Parents and students welcome. TEEN VOLUNTEER HOURS REGISTER APRIL 1 • Hoffman Estates Branch Thursday, April 18 • 4-6 p.m. REGISTER APRIL 1 • Central Teen Place Saturday, April 20 • 10:30 a.m. - 12:30 p.m. REGISTER MAY 1 • Hanover Park Branch Thursday, May 23 • 4-6 p.m. REGISTER MAY 1 • Central Teen Place Saturday, May 18 • 10:30 a.m. - 12:30 p.m. Earn two community service hours while recycling plastic bags into “plarn” to be woven into mats for the homeless. TEEN STEAM Central Teen Place REGISTER APRIL 1 • Monday, April 22 • 7-8 p.m. REGISTER MAY 1 • Wednesday, May 29 • 6-7 p.m. In April, we’ll learn how to turn sheets of beeswax into small candles that resemble an adorable sushi roll. In May, we’ll make bouquets of paper flowers and light them up with tiny LEDs for a too-cute DIY project. AVENGERS: INFINITY WAR REGISTER APRIL 1 • Central Teen Place Tuesday, April 23 • 6:30-8:30 p.m. Prepare for the final Avengers movie release with a screening of Avengers: Infinity War. We’ll also enjoy snacks and crafts. PAINTING PARTY REGISTER APRIL 1 • Central Teen Place Monday, April 29 • 7-8:30 p.m. Shane Rotkis of Imagine Arts hosts a painting party for teens. Each participant will create their own forest birch tree scene on canvas to take home with them. REGISTER APRIL 1 • Central Teen Place Thursday, April 25 • 7-8 p.m. Crash your way to first in this head-to-head racing game for the Wii-U. REGISTER MAY 1 • Central Teen Place Tuesday, May 7 • 7-8 p.m. Use shaving cream and food coloring to create marbled stationary. REGISTER MAY 1 • Central Teen Place Tuesday, May 14 • 7-8 p.m. Keep your earbud cords contained with this fun taco earbud holder. REGISTER APRIL 1 • Central Teen Place Tuesday, April 30 • 6-7:30 p.m. The last player standing wins their own Uno deck. May the odds be ever in your favor. REGISTER MAY 1 • Central Teen Place Thursday, May 9 • 7-8 p.m. Take your origami skills to the next level with LED lights and conductive tape. REGISTER MAY 1 • Central Teen Place Thursday, May 16 • 7-8 p.m. Calling robotics fans! Program a LEGO® Mindstorms EV3 to complete space-themed challenges. Work solo or as a team to improve your chances. DREAMCATCHER KEY CHAIN REGISTER APRIL 1 • Central Teen Place Wednesday, May 1 • 7-8 p.m. Are you struggling to find the perfect Mother’s Day gift? Craft and give her a dreamcatcher key chain - you’ll quickly become her favorite child. SUPER BOMBERMAN TOURNAMENT REGISTER APRIL 1 • Central Teen Place Thursday, May 2 • 6:30-8 p.m. Enter a maze and battle with up to eight players until the “last man standing” is declared the winner. VOLUNTEER SQUAD TRAINING SUMMIT REGISTER NOW • Central Program Room Saturday, May 11 • 10:30 a.m. - Noon Monday, May 13 • 6-7:30 p.m. Wednesday, May 15 • 4-5:30 p.m. Volunteer Squad members will learn how to help patrons register for the Summer Challenge, review rules and expectations for Squad members, have fun and eat snacks. Once accepted to the Volunteer Squad, register for one training session. Volunteer Squad members must attend without their caregiver. Email: volunteersquad@stdl.org to register. THANK YOU Schaumburg Township District Library would like to thank the following sponsors for their contributions to the Feb. 16 Teen Job Fair: Schaumburg Boomers, Pool Guards, Inc., SportsKids Inc., Hoffman Estates Park District, Schaumburg Park District, St. Hubert’s Job Ministry, Northwest Special Recreation Association, Goodwill, McDonald’s, Hoffman Estates Chamber of Commerce, Carpenter’s Union, Main Event, Congressman Raja Krishnamoorthi’s Office, Aqua Guard Management, Inc., and Harper College. AUTHOR VISIT & DISCUSSION: CHARLIE DONLEA DROP IN • Central Workshop • Wednesday, April 3 Discussion: 6:30-7:15 p.m. • Visit: 7:30-8:30 p.m. Charlie Donlea, best-selling author of thrillers like Summit Lake and Don’t Believe It, is paying us a visit. Join us for a casual discussion of all his titles at 6:30 p.m. to share your questions and favorite parts with other fans. At 7:30 p.m., Donlea will discuss the writing process and his new book, due out in May. Books will be available for purchase and signing. SCHAUMBURG SCRIBES DROP IN Central Adult Classroom • Saturday, April 6 • 10 a.m. - 2 p.m. Central Rasmussen South • Saturdays, April 20, May 4, May 18 & June 1 • 10 a.m. - 2 p.m. No matter the genre, every piece of writing can benefit from a good critique. Bring a page of your latest work to share with the group and be ready to provide constructive feedback on other’s writings. REGISTER NOW • Central Rasmussen South Tuesday, April 9 & Thursday, April 11 • 1-5 p.m. Perfect for drivers age 50 and older, this refresher course reviews driving skills and safe driving strategies. You must attend both four-hour sessions. Please bring your AARP card to class for applicable discount. Fee collected at first class. Only cash and checks will be accepted. $15 for AARP members; $20 for non-members. REGISTER NOW • Central Adult Classroom Thursday, April 18 • 7-8:30 p.m. Considering investing in solar energy for your home? Experts from GRNE Solar will walk you through the benefits of renewable solar energy for homeowners and the environment. Learn about the myriad of federal and local solar incentives available. ALL ABOUT BEES: BEEKEEPING 101 REGISTER NOW • Central Rasmussen North Thursday, April 11 • 7-8 p.m. Beekeeper Reid Root of the Fox Valley Beekeepers Association will share his experiences as a beekeeper, explain how honey is made and discuss the importance of bees to our world. ECO-FRIENDLY CLEAR THE CLUTTER REGISTER NOW • Central Rasmussen North Monday, April 22 • 7-8:30 p.m. Getting organized and going green go hand in hand. Save time, money and the planet while regaining control of your home with tips from M. Colleen Klimczak, Certified Professional Organizer. BECOME A LITERACY TUTOR REGISTER WITH ELGIN LITERACY CONNECTION • $10 Central Adult Classroom • Tuesday, April 23 • 6-9 p.m. Central Rasmussen North • Tuesdays, April 30, May 7 OR May 14 • 6-9 p.m. You don’t need to be bilingual or have teaching experience to become an English literacy volunteer for adults. The Elgin Literacy Connection will train and guide you through the tutoring process. Tutor training is a blend of online lessons and face-to-face classes. Trainees must complete the first session on April 23 and least one other session in person. Once you complete training, you’ll be matched with a learner and meet regularly with that person for one or two hours per week. Register with the Elgin Literacy Connection at info@ elginliteracy.org or (847) 742-6565. Space is limited. Tutors must be at least 18 years of age. Registration fee covers the cost of a background check. INSTANT POT COOKING REGISTER NOW • Central Rasmussen Room Tuesday, April 23 • 6:30-8 p.m. Thinking about buying this new gadget or wondering what all the fuss is about? Join a nutrition and culinary coach to understand the basics, hear tips and tricks, and get some great recipes for the Instant Pot. TRIVIA NIGHT DROP IN • America’s Bar & Grill, 2309 W. Higgins Rd. Hoffman Estates • Wednesdays, April 24 & May 22 • 7-9 p.m. Do you know your pop culture, weird history or obscure facts? Join other trivia buffs in this fun throwdown. Enter as a team or come alone and we’ll place you with one. Prizes will be awarded to the winning team. April’s theme: Sitcoms. May’s theme: General trivia. WHEN HOME WON’T LET YOU STAY: SENIOR SCAM PREVENTION REFUGEES IN AMERICA REGISTER NOW • Central Rasmussen Room REGISTER NOW • Central Workshop Thursday, April 25 • 7-8:30 p.m. James Bowey, photographer of the exhibit When Home Won’t Let You Stay, showcased at the Library from March-May, will speak about his nation-wide travels to interview and photograph refugees. View the exhibit beforehand, then get a chance to speak with the photographer one-onone. He will be available before the program, starting at 6 p.m. See back cover for details on related exhibit. UPCYCLED BOOK WREATH REGISTER NOW • Hanover Park Branch Saturday, April 27 • 2-4 p.m. Join Shari Pontillo of Twisted Fibers Studio to make a festive, elegant, recycled, spring wreath from the pages of a book. TALKING TO YOUR CHILDREN ABOUT CONSENT REGISTER NOW • Central Rasmussen South Tuesday, April 30 • 7-8:30 p.m. Consent is a hot-button topic in the media and an important conversation to have with our kids, but it’s also a challenging topic. In support of Sexual Assault Awareness Month, the Northwest Center for Sexual Assault will explain how to arm your children with proper knowledge and tools they can use to navigate the complex, muddy waters of sexually-charged situations. Monday, May 6 • 9:30-11:30 a.m. OR 5:30-7:30 p.m. First hour: browse information from community organizations that serve seniors. Second hour: Schaumburg Police detectives will discuss scams targeted at seniors and provide tips for avoiding them. Please register for only one session. GALAXY SILHOUETTES PAINTING REGISTER NOW • Central Workshop Tuesday, May 7 • 7-8:30 p.m. Beginners are welcome for this modern twist on a classic silhouette portrait. Draw freehand or use one of the provided printouts. You’ll transfer an outline to watercolor paper, then artist Christine Thornton will teach you how to paint a galaxy pattern inside of your outline. CHICAGO: AMERICA’S BEST SPORTS TOWN REGISTER NOW • Central Rasmussen North Wednesday, May 8 • 7-8:15 p.m. What’s your game? Baseball, football, basketball, hockey, soccer? Author Brian Sandalow has covered them all and is here to tell us what makes Chicago so unique when it comes to sports. SERVING STARS & STRIPES REGISTER NOW • Central Workshop Thursday, May 30 • 6-9 p.m. • $15 Get ready for upcoming 4th of July festivities by patriotically painting a 10-inch glass plate with Randy Skepnek. Free hand your own design or choose from patterns supplied. REGISTER NOW • Central Rasmussen Room Wednesday, May 1 • 7-9 p.m. Create bath salts, facial masks and relaxing massage and aromatherapy items with basic ingredients blended with herbs. Learn how different scents create and change moods, induce sleep or enhance awareness. BUSINESS & CAREERS AMERICAN CREED SCREENING & DISCUSSION REGISTER NOW • Central Workshop Thursday, May 30 • 6:30-9 p.m. In the documentary American Creed, former U.S. Secretary of State Condoleezza Rice and Pulitzer Prize-winning historian David M. Kennedy come from different perspectives to investigate the idea of a unifying American creed. Their inquiry frames the stories of citizen-activists striving to realize their visions of America’s promise across deepening divides. Stay after the screening for a discussion on the film. EASY CARE NATIVE PLANTS REGISTER NOW • Central Rasmussen North Thursday, June 6 • 6:45-9 p.m. Discover the Conservation@Home certification program for Cook County residents, which provides the opportunity to plant native vegetation and integrate sustainable practices that contribute to clean water and healthy ecosystems. This program is co-sponsored by the Library and the Hoffman Estates Garden Club. POWER EMPLOYMENT REGISTER AT WORKNETNCC.COM Central Rasmussen North • Tuesdays, April 2, May 7 & June 4 9 a.m. - 3:30 p.m. Let the experts from North Suburban Cook County Illinois Job Center show you how to structure your job search to find a job in today’s market. Subjects covered include writing resumes and cover letters, effective interviewing skills, networking and using social media to promote your skills and experience. FOUNDATION GRANTS TO INDIVIDUALS ONLINE REGISTER NOW • Central Adult Computer Lab Thursday, April 11 • 7-8:30 p.m. Are you a student, artist or researcher looking for financial support to help you pursue your dreams? In this hands-on class, you’ll learn how to find funding using Foundation Grants to Individuals Online, available on Library computers. the market? Tia Juarez of the Women’s Business Development Center will help you build a strategic plan by exploring the feasibility of your business concept. Begin your entrepreneurial path on the right foot. LINKEDIN MOBILE FOR NETWORKING & JOB SEARCH REGISTER NOW • Central Rasmussen North Monday, May 13 • 7-8:30 p.m. Learn to navigate the LinkedIn mobile app and use its unique features to network and find your next job. Bruce Bixler, LinkedIn expert and social media manager, will help you discover the extra mobile features that are not available on desktop. SCORE: ONLINE ADVERTISING & SEO REGISTER NOW • Hoffman Estates Branch Wednesday, May 22 • 6:30-8 p.m. Learn how to get your business listed on the first page of Google and other search engines through sponsored search results and search engine optimization (SEO). Become familiar with pay-per click-campaigns (PPC) and how to budget for them. REGISTER NOW • Central Rasmussen Room Monday, April 1 • 7-8:30 p.m. Attorney Jacob K. Ehrensaft will discuss wills, trusts, powers of attorney, probate and guardianship. Learn more about planning ahead and updating existing documents. REGISTER NOW • Hoffman Estates Branch Wednesday, April 3 • 6:30-7:30 p.m. A Morningstar representative will give an overview of the Morningstar Investment Research Center, an easy-to-navigate database that aids in reaching investment goals. Discover this tool for collecting financial information, getting reliable portfolio analysis, learning about investment options and more. ANNUITIES & HOW THEY WORK REGISTER NOW • Hanover Park Branch Tuesday, April 2 • 2-4 p.m. With guidance from Kevin Koykar, investment advisor representative of Gradient Advisors, LLC, we’ll discuss the fundamentals of annuities. Discover their benefits and limitations, and examine the role they can play in planning for retirement. WOMEN & MONEY: 12 MONTHS TO MASTER FINANCES REGISTER NOW • Central Adult Classroom Thursday, April 4 • 7-8:30 p.m. Personal finance educator Karen Chan will introduce you to her Money Calendar - a great tool for keeping track of where your money goes, evaluating your debt, estimating your income in retirement, knowing where to get help and more. Bring a friend so you can team up and support each other through this enlightening, year-long process. GENEALOGY NEW RESOURCES FOR BRITISH ISLES RESEARCH DROP IN • Central Adult Classroom • Tuesday, April 9 7:30-9:30 p.m. Come early to review genealogical materials. At 7:45 p.m., guest presenter and professional genealogist Paul Milner will discuss how to keep up to date with the constantly changing face of British Isles research. Learn about recently released original records, new indexes, books, CD-ROMs and websites. USING FOLD3 LIBRARY EDITION FOR GENEALOGY DROP IN • Central Adult Classroom • Tuesday, May 14 7:30-9:30 p.m. Come early to review genealogical materials. At 7:45 p.m., guest presenter Debra M. Dudek, Head of Adult and Teen Services at the Fountaindale Public Library District in Bolingbrook, IL, will show you how to navigate Fold3, browse resources effectively and find hidden gems on this user-friendly database. REGISTER WITH AMITA Hanover Park Branch • Tuesday, May 7 • Noon - 2 p.m. Central Rasmussen North • Thursday, May 30 • 3-5 p.m. AMITA Health registered nurses will conduct cholesterol and blood pressure screenings. Register with AMITA at (855) 692-6482. Please select the first available time slot. If you must cancel, call at least 24 hours before your appointment. REGISTER NOW • Central Workshop Tuesday, May 21 • 7-8:30 p.m. Burrell Poe of CompassionIt will guide us through discussion exercises to increase overall well-being and resilience by practicing self-compassion. REGISTER WITH AMITA Central Rasmussen South • Tuesday, April 2 • 12-2 p.m. Hanover Park Branch • Wednesday, April 17 • 4-6 p.m. Anyone over 35 is invited to participate in free osteoporosis screenings provided by AMITA Health registered nurses. Register with AMITA at (855) 692-6482. Please select the first available time slot. If you must cancel, call at least 24 hours before your appointment. REGISTER NOW • Central Adult Classroom Thursday, May 16 • 6:30-8 p.m. Nutrition expert Joan Davis, RN, MS, will review several popular diet trends based on misleading and sometimes downright dangerous diet hoaxes. Discover a simple, practical approach to evaluating nutritional claims and learn about resources to get credible nutrition information. REGISTER NOW • Central Rasmussen North Monday, June 3 • 7-8 p.m. Carrie Wang, Nutritional Therapy Practitioner and Licensed RESTART Instructor, will guide you in considering your consumption habits as she helps you prepare to detox from sugar with real food. REGISTER NOW • Hanover Park Branch Tuesday, April 2 • 7-8:30 p.m. Studies show that women discover 90% of breast lumps that can be felt through self-exam. Pat Reidy, Certified MammaCare Specialist with Amita Health, will discuss the importance of breast health and self-exams, and will guide you through practicing an exam on life-like silicone breast models. REGISTER NOW • Central Adult Classroom Saturday, April 13 • 11 a.m. - 12:30 p.m. Pitch your book with confidence and professionalism. Award-winning author Susan Miura will share tips for nailing those in-person agent/ editor appointments. Learn how to prepare, what to bring, what to expect, how to shine and how to follow up. Comments from agents and editors will be shared, and role-playing may take place based on audience interest. REGISTER NOW • Central Adult Classroom Thursday, May 2 • 7-8:30 p.m. In real life, people talk just to talk, using speech as social glue. In fiction, characters talk because their conversations are essential to the story. Author/actor Diane Piron-Gelman brings an actor’s perspective to the fine art of writing dialogue: what works on the page, what doesn’t and the compelling reasons characters talk in the first place. TYPES OF EDITING & WHEN YOU NEED THEM REGISTER NOW • Central Adult Classroom Thursday, April 25 • 7-8:30 p.m. Editor Kaylynn Hills of Hickory Editorial Services will cover all the different styles of editing, what their specific purposes are and in what order they should occur during the publishing process. This session will be particularly valuable for first-time book authors who hope to publish someday. FOR ADULTS WITH HIGH-FUNCTIONING AUTISM OR ASPERGER’S, AND OTHERS FACING SOCIAL CHALLENGES, WHO DO NOT NEED TO BE ACCOMPANIED BY A PARENT OR AIDE. TEAM BUILDING WITH GIANT JENGA REGISTER NOW • Central Rasmussen South Tuesday, April 9 • 7-8 p.m. Join us for a giant-sized game of Jenga, while learning different skills and techniques for team building. Snacks will be provided. KEEP CALM & COLOR ON REGISTER NOW • Central Rasmussen South Tuesday, May 14 • 7-8 p.m. We will be coloring, listening to music and learning about different ways to relax our minds. Snacks will be provided. and hope; and their images and experiences produce a compelling human portrait of refugees in America. See program description on page 12. REGISTER NOW • Central Rasmussen South Tuesdays, April 16 & May 21 • 10-11 a.m. April: Dreamland: The True Tale of America’s Opiate Epidemic by Sam Quinones. May: The Rosie Project by Graeme Simsion. Thursdays, April 18 & May 16 • 7-8 p.m. April: The Memory Keeper’s Daughter by Kim Edwards. May: The Round House by Louise Erdrich. Tuesdays, April 23 & May 28 • 1:30-2:30 p.m. April: The Beekeeper’s Apprentice by Laurie King. May: Small Great Things by Jodi Picoult . Limited loaner copies available at the Fiction Desk 30 days prior to each discussion. REGISTER NOW • Central Rasmussen South Thursday, May 9 • 7-8 p.m. Join us for our true-crime book discussion group. This month’s title: Under the Banner of Heaven: A Story of Violent Faith by Jon Krakauer. Limited loaner copies available at the Adult Information Desk beginning April 11. POLISH BOOK DISCUSSION REGISTER NOW • Central Rasmussen South Wednesdays, April 10 & May 8 • 7:30-9 p.m. Members read and discuss books in the Polish language. Upon registration, the moderator will contact you to make arrangements for you to purchase the book. WHO FILMED THIS BOOK? REGISTER NOW • Hanover Park Branch Wednesdays, April 10 & 24, May 8 & 22 • 6:30-9 p.m. This discussion group compares and contrasts movies with the books that inspired them. View the movie on the second Wednesday of each month and discuss the book on the fourth. Limited loaner copies available at the Hanover Park Branch approximately six weeks before each discussion. April: Strangers on a Train. May: Ready Player One. WHAT ARE YOU READING? DROP IN • Central Workshop • Monday, June 3 10-11 a.m. Share recent books you have read with other readers in a casual discussion and walk away with titles to add to your summer reading list. REGISTER NOW • Central Rasmussen South Wednesdays, April 17 & May 15 • 6:30-8 p.m. April: The Lost City of the Monkey God: A True Story by Douglas Preston. May: Alaska Man: A Memoir of Growing Up in the Wilds of Alaska by George Davis. Limited loaner copies available at the Adult Information Desk approximately one month before each discussion. KOREAN BOOK DISCUSSION REGISTER NOW • Central Rasmussen South Tuesdays, April 23 & May 28 • 11 a.m. - 12:30 p.m. We’ll read and discuss books in the Korean language. Upon registration, the moderator will contact you to make arrangements for you to purchase the book. HISTORY THE LEOPOLD & LOEB FILES REGISTER NOW • Central Rasmussen North Wednesday, April 10 • 7-8:15 p.m. Nina Barrett talks about her book The Leopold and Loeb Files, which lets readers experience this famous murder case through the original words of its protagonists: Nathan Leopold, Richard Loeb and Clarence Darrow. Discover this astonishing historical archive that continues to reveal surprises about the case. Part of our Chicagoland: Read All About It series. REGISTER NOW • Central Rasmussen Room Tuesday, April 16 • 7-8:30 p.m. In 1960s Detroit, Motown Records produced 110 top ten hits by The Supremes, The Temptations, Marvin Gaye, Stevie Wonder and others. We’ll trace the musical journey from the power soul of I Heard It Through the Grapevine to the psychedelic soul of What’s Going On to the pop soul of The Jackson 5. REGISTER NOW • Central Rasmussen North Thursday, May 9 • 7-8:30 p.m. Celebrate 80 years since the film’s debut and Academy Award win with film historian Steven Frankel. Hear engaging stories of the stars and behind-the-scenes details of this cinematic masterpiece. REGISTER NOW • Central Rasmussen Room Monday, April 15 • 7-8:30 p.m. Biologist and author Rachel Carson warned the world of the potentially dangerous impact of chemical pesticides in her best-selling 1962 book, Silent Spring. In this living-history program, set in 1963, actress and historian Leslie Goddard portrays Carson as she discusses her love for the environment and her drive to make the world aware of nature’s beauty and fragility. REGISTER NOW • Central Rasmussen Room Monday, April 29 • 7-8:15 p.m. In 1938, Paul Schweikher built his National Register home in Schaumburg Township. Local History Librarian Jane Rozek will share details of this famous architect, his home and his local work. Co-sponsored by the Library and the Schaumburg Township Historical Society. QUEEN VICTORIA’S LEGENDARY LIFE REGISTER NOW • Central Rasmussen Room Friday, May 24 • 2-3:30 p.m. Historian Leslie Goddard chronicles the life of Victoria, Queen of Great Britain and sovereign of an empire on which the sun never set. We’ll explore Victoria’s rise to the throne at age 18, her marriage to Prince Albert of Saxe-Coburg and her astonishing reign of 64 years. BUS TRIPS THE ART OF LEONARDO DA VINCI REGISTER NOW • Central Rasmussen Room Tuesday, May 28 • 7-8:30 p.m. 2019 marks the 500th anniversary of Leonardo da Vinci’s death. In commemoration, this slide lecture focuses on Leonardo’s artistic innovations, examining his works within the context of Italian art and exploring how da Vinci’s approach broke with convention and helped establish the legacy of the Italian Renaissance. All bus trip participants will be required to sign a Waiver and Release of Liability on the day of the trip. See page 1 for more information. REGISTER APRIL 1 • Illinois Holocaust Museum & REGISTER NOW • Central Rasmussen Room Education Center, Skokie • Wednesday, May 22 Wednesday, May 29 • 7-8:30 p.m. 8:30 a.m. - 4:30 p.m. • $70 Meet America’s pre-eminent poet in this living hisThe Karkomi Holocaust Exhibition weaves tory program as he shares the story of his life intersurvivor narratives, personal belongings, photomingled with the poems we have all grown to love. 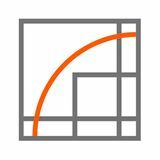 graphs and videos into a moving and responsive Hear eloquent selections from “Leaves of Grass,” experience. This is the world’s first museum to listen to tales of the Civil War in poetry from feature groundbreaking interactive voice recog“Drum Taps” and celebrate the life of Abraham nition technology, enabling visitors to engage in Lincoln in his eulogy “Oh, Captain, My Captain.” conversation with a three-dimensional, strikingly life-like image of an actual Holocaust survivor. Includes lunch at Wildwood Tavern in Niles. INTO THE BREECHES! REGISTER APRIL 1 • Northlight Theater, Skokie Wednesday, June 5 • 5:30-10:30 p.m. • $63 It’s 1942, and with the men off at war, the Oberon Play House is lacking its director and leading men. It’s looks like the season will be canceled; until the director’s wife rallies the troops at home for an all-female production. This surprisingly modern comedy proves that the show must (and will) go on. No meal included, but food may be brought aboard the bus. SPECTACULAR GARDENS OF ROCK RIVER VALLEY REGISTER APRIL 1 • Rotary Botanical Gardens, Janesville, WI & Anderson Japanese Gardens, Rockford, IL Tuesday, June 11 • 7:30 a.m. - 5 p.m. • $86 Tour two beautiful botanic gardens, beginning with the majestic Rotary Botanical Gardens. The guided tour will feature 24 garden areas, with more than 4,000 plant varieties. Next, we’ll visit Anderson Japanese Gardens, one of North America’s highest-rated Japanese Gardens, with meandering streams, koi-filled ponds and plunging waterfalls. Enjoy lunch at the historic Stokholm Inn in Rockford, IL. Location: Central Computer Lab • Age: High School & up Fee: $12/cardholder; $17/non-cardholder; $9/Seniors 50+ years These classes require you to be proficient in the basics of Windows, Word and/or Excel. If you’re a new user or need a brush-up, please start with our Core Computer Classes. REGISTER NOW • Central Rasmussen North Wednesday, May 22 • 7-8:30 p.m. Learn how to check out and download or stream the Library’s digital media collections (eBooks, audiobooks, music, movies) to your smartphones and tablets. Bring your device to class. Location: Central Computer Lab • Age: 50+ years Fee: $9 Please bring your device to class. Explore, learn, discover and create with programs at Schaumburg Township District Library.